If you have had a student with autism in your classroom, you know that visuals are an extremely important element for successful instruction. One of the most important visuals that I use in my classroom is the visual schedule. Students can access schedules at many different levels. I usually have the student use a schedule that is about one level ‘down’ from their academic level. The reason for this is that students need to be able to functionally understand their schedules regardless of their sensory or mental state. Even if a student is on the verge of a meltdown or in the midst of a script, they need to be able to understand their schedule. For example, an emerging reader should not use a text-only schedule. I teach in a self-contained classroom in a high school. All of my students benefit from a highly structured environment and all require detailed schedules in order to maximize their independence and minimize their anxiety. The schedules benefit the paraprofessionals and me as well—if we are confused regarding where a student is or where a student should be, we can quickly glance at that student’s schedule. I start with creating the master schedule for all students. I use Microsoft Excel and list my student’s names along the top (I used letters for confidentiality purposes). Then, you need to think about your timing. Time intervals will be listed along the left side of the Excel spreadsheet. I have a block of time in the morning—from 7:45-10:30—and then a block of time in the afternoon—from 12:30-2:14 (darn those high school bell schedules). I know that students need to be in lunch during period 4 (10:36-11:26), in PE during period 5 (11:32-12:22), and in art during period 8 (2:20-3:10). I also know that I want students to have at least 4 work stations in the morning and a group activity and 2 work stations in the afternoon. This is because I want to spend 1:1 time with each student every day and this year I have 6 students (I’m lucky, I know! This was more difficult when I had 8 students). Each student needs to use the bathroom mid-morning and mid-afternoon, and each student needs a sensory break mid-morning and mid-afternoon as well. Students will also need a snack and will need to complete a job in the afternoon. This is my schedule so far. You will notice that I have times filled in on the left side. 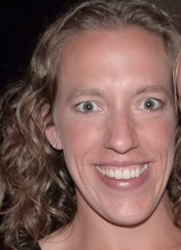 I filled in required classes (Lunch, PE, one student in Choir, and Art), and then entered in activities that ALL students will be doing at the same time. For example, all students will have their breaks (choice time) concurrently, so I entered those in. I also entered in the amount of time that each activity will take. These times may change as you actually live your schedule for a few days. I have learned quickly that sometimes you can’t predict how long certain things will take with this population, particularly if you are expecting independence. After I filled in the required classes and the activities that are done simultaneously by all students, I divided the remaining time slots to reflect what I wanted to accomplish as far as rotations and group work. Remember, I wanted four work stations in the morning, so I divided the remaining time by four. I wanted two work stations and an opportunity for a group activity in the afternoon, so I allotted time for the group activity and then divided the remaining time in half. I then inputted the work rotations. It is easiest to ‘partner’ students up and have their schedules mirror each other’s, but that isn’t necessary. You can see that student F has additional needs. I noted in the master schedule when he needed to spend time in the stander and when he should be out on the mat. This is a reminder for me as I make student schedules because I want to note it on the student’s individual schedule to cue paraprofessionals/nurses. Phew! Now you are done with Monday. Only four more days to go J Don’t get discouraged, the other days will be much easier. You can copy and paste Monday, and edit as needed. It is important not to have students follow the exact same schedule every day. Students should use their schedule to navigate their school day and should not simply be able to memorize it. You also don’t want a student to memorize the order the rotation goes, so you want to mix that up as well. For example, computer should not always follow reading group and so on. 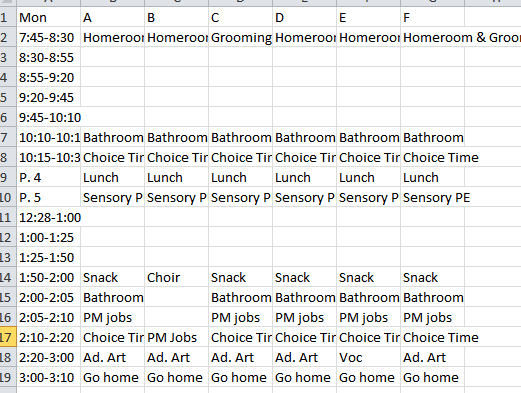 I always make a master schedule like this for EVERY day without including outside services. Eventually, the speech pathologist, OT, etc. may want to schedule time with your students and that is wonderful! You can add those things in to a copy of your Master schedule—but don’t delete your original! Related services can take a week or two to start up (in the best of circumstances) and it is not uncommon for a related service to be cancelled due to a meeting, illness, or something else outside of their control. If you plan to be self-reliant, you always have a back-up plan! When you finish your week of Master schedules, the hardest part is over! You can now use your master schedule to individualize schedules for different students. 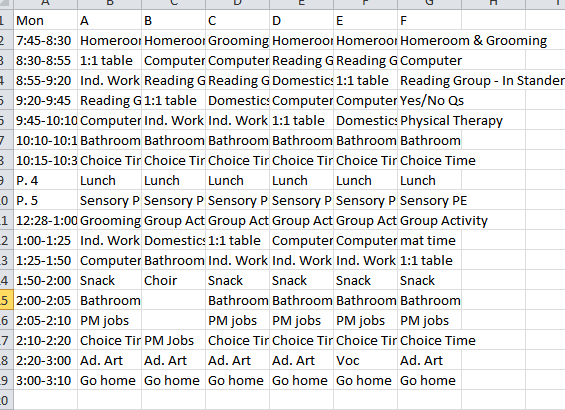 I will write about student schedules, paraprofessional schedules, and job schedules another time. Thank you for reading and please comment if you schedule differently or if you have any questions! You’re amazing! The master schedule is almost like a car and the individual schedule are the components that make the car go. You have to have both systems in place to have any movement! Well done! There’s a definite science to the madness, right?